Growing herbs is a great way to add an edible element to your garden. Rosemary is normally quite easy to control if you keep it in a pot, but if you have it growing freely in the garden, it can easily get woody and shabby looking. This is when these tips for pruning rosemary are helpful. 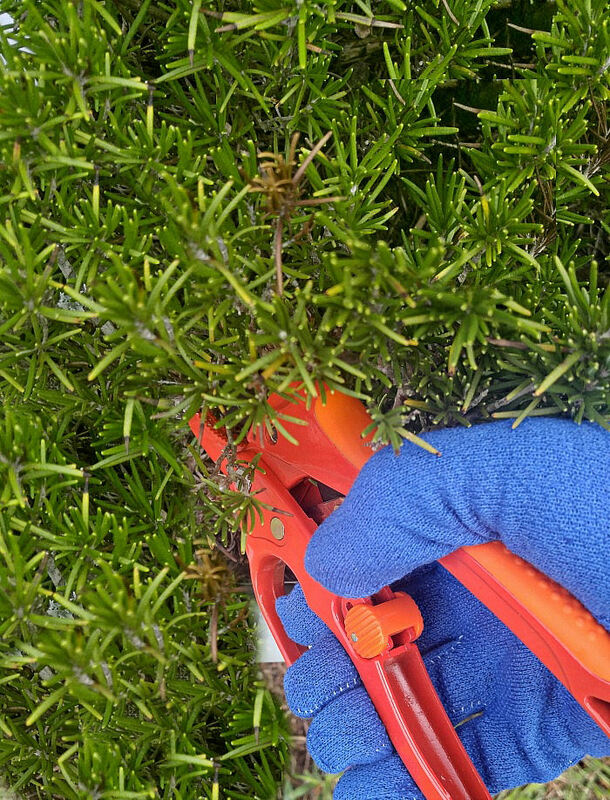 All garden plants need pruning at some stage, and rosemary is no exception. Rosemary is a perennial herb that I use all the time in cooking. It is earthy, flavorful and very hardy in the garden. This herb can be grown in containers (I grow mine on my vegetable garden on a deck) or planted directly in your flower garden, or vegetable garden. It is versatile and adds great flavor to all sorts of recipes. 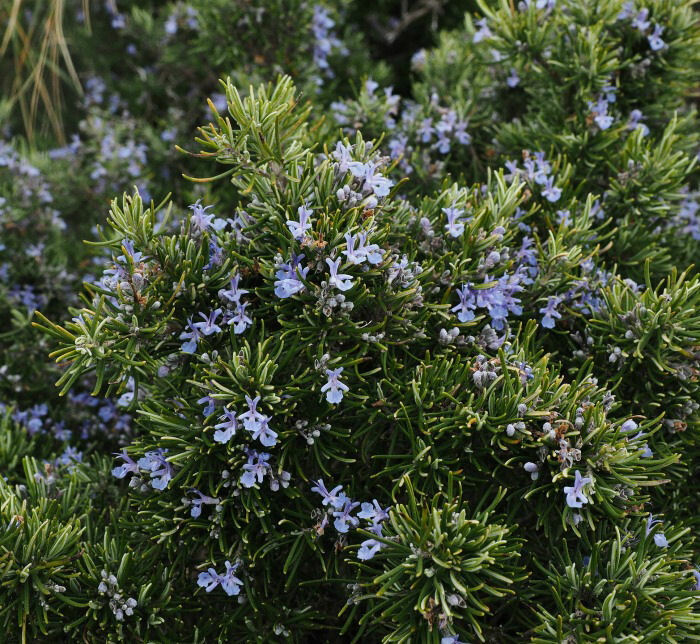 Generally, rosemary is fairly easy going and won’t need much in the way of care. However, if your plant is really overgrown, hard pruning may be necessary. (removing quite a lot of the old wood.) This technique is best done in the spring since it will send off lots of new growth and the long growing season to follow will help it. 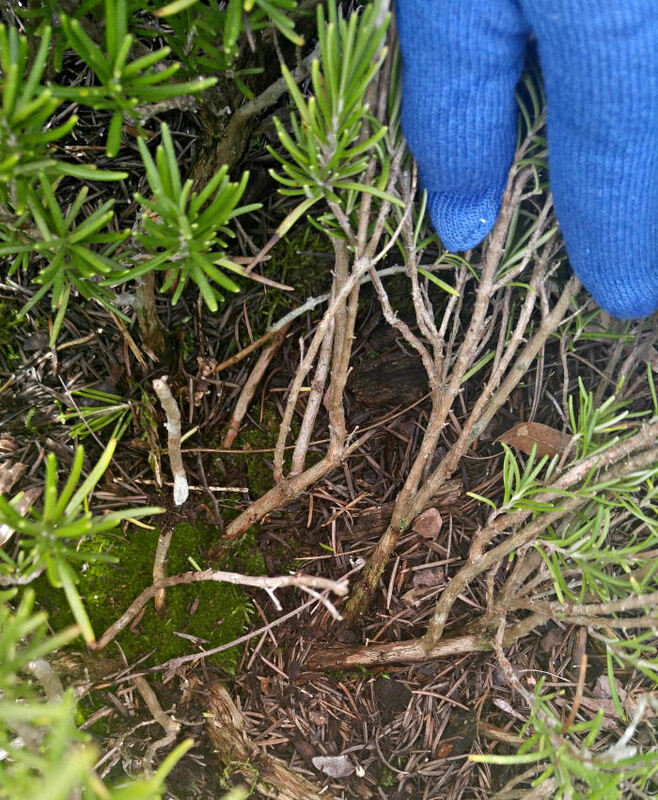 But general pruning of rosemary can be done throughout the growing season and right into early fall. My plants get lightly pruned during the spring and summer, since I cut rosemary for use in recipes all year. By fall, the plant can look pretty unkempt so this is when I set about the task of pruning rosemary in earnest. This can be done as early as late winter and then through spring and summer. It’s not necessary to wait for the flowering to finish and, in fact, this is not a good idea. Pruning too late in the year might encourage new growth that will not have hardened before the first frost. In many locations, late July is a good time, and for warmer hardiness zones, you can prune in September. A general rule is to prune no later than about 4-6 weeks before the first frost. Is pruning necessary each year? Rosemary is very good at taking care of itself, particularly plants grown in pots. It’s not necessary to prune plants unless they are overgrown, over woody, or unless you are trying to make a hedge or prune into topiary shapes. Also, you may simply want to prune rosemary to reduce the size of the plant or to make your existing plant more productive next year. My rosemary has quite a bit of older growth on it, so I want to prune it now so that the time I have left will give me some fresher tips to use in Thanksgiving cooking. Rosemary grows for me pretty much all year round, here in zone 7b. 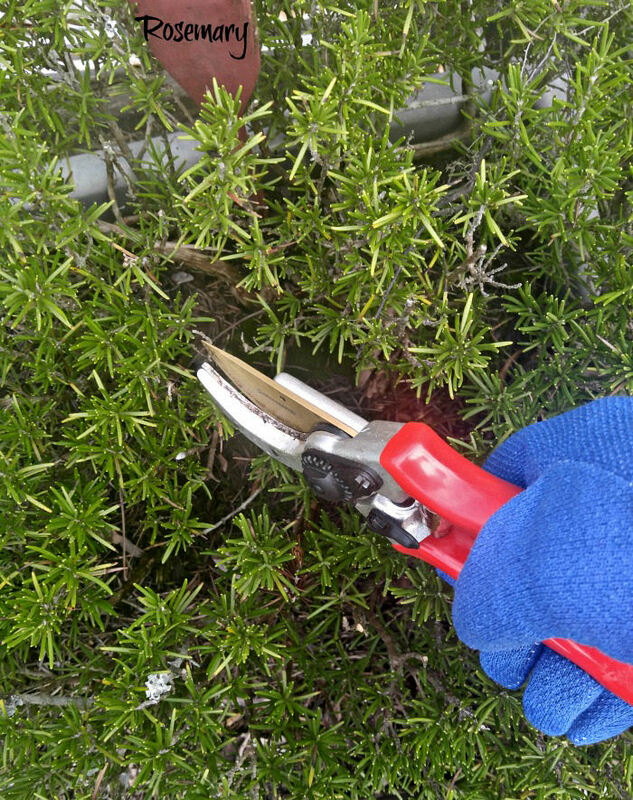 Before you start the job of pruning rosemary, be sure that your garden shears are nice and sharp. Dirty shears with blunt tips will mean that your cuts are ragged, which can encourage disease and pest problems. All garden tools need to be tended to this time of the year. Be sure to check out my general tips for winterizing your garden tools, as well. General Pruning. To prune rosemary, clip off the faded flowers, if any. You can preserve the flowers with Borax for use in dried flower arrangements, craft projects or potpourri. Use a good pair of pruning shears to trim back just below the flower area. If the plant is not flowering, just snip off the top few inches of the stems, being careful not to move too far into the old wood. 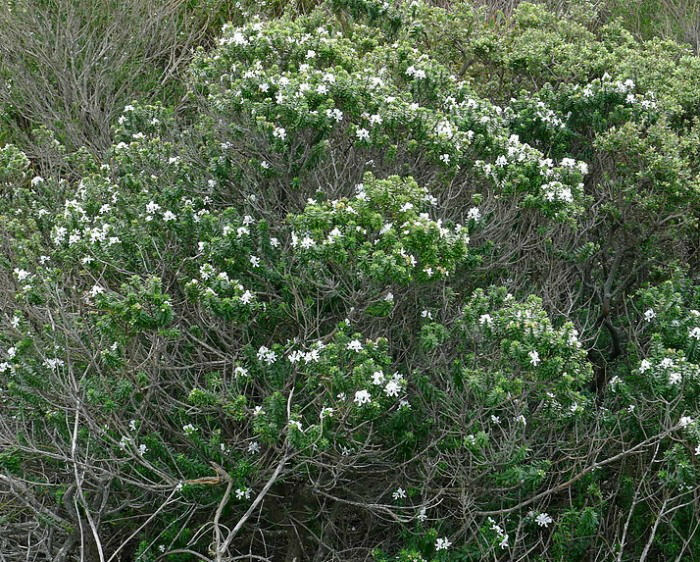 If your aim is a bushy plant, just remove about 1 – 2 inches of all of the branches. This encourages each tip to split into two and will give you a nice bushy looking plant before you know it. Hard Pruning. 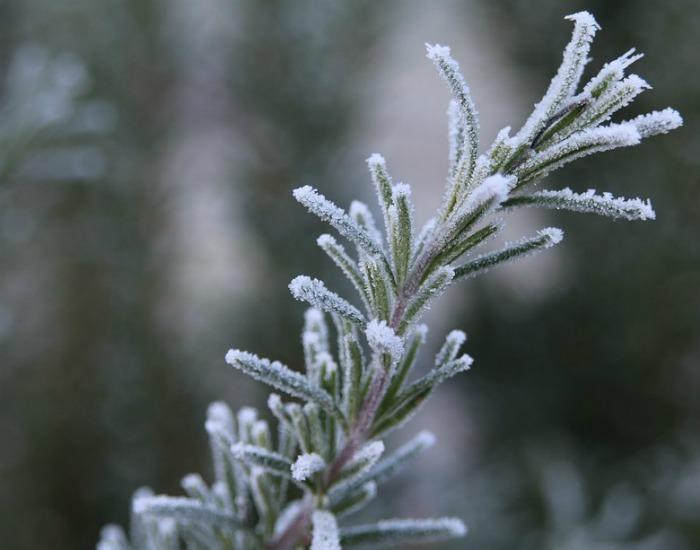 Since rosemary is a perennial,if it is grown freely in the garden can get to heights of 6-8 feet! Any plant this size will get woody and unkempt looking if not pruned. If you decide to do more of a hard pruning, earlier in the year, ratcheting pruners will make cutting the old wood easier, but never cut more than 1/3 of the plant or you may kill it. With old wood, a good rule of thumb is one branch out of three. Then, 6-8 weeks later, as the new growth is growing vigorously, you can cut back another woody branch and so on. At all costs, don’t cut all the old wood off at once. Rosemary is a perennial herb, so it will continue growing year after year in containers. This can result in pot bound plants. A pot bound rosemary plant will produce less and less new growth and get quite woody. Re-pot the plant into a larger pot, if you can. If not, remove the plant from the container and carefully prune the roots back and bit and add a fresh layer of soil. I find that I can grow rosemary for several years in a large pot before it needs this step..
Rosemary can be easily dried for use in recipes during the winter and, like most herbs, can be preserved many other ways. Rosemary oil and rosemary herb butter are just a few ideas. You can also root the cuttings of newer shoots of rosemary to get more plants for free. Either place the springs in water to grow roots and plant them in soil, or use a root powder on the tips and plant them directly into soil. Before you know it, you’ll have a new plant. 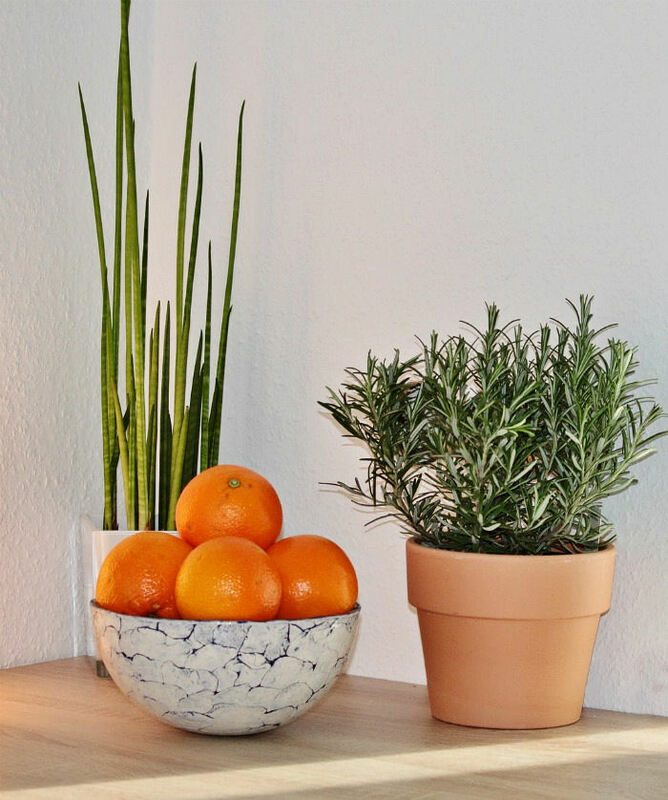 Rosemary makes a great indoor plant to grow on your kitchen counter near a sunny window. These tips for pruning rosemary bushes are easy to do but important in the overall look and health of the plant. 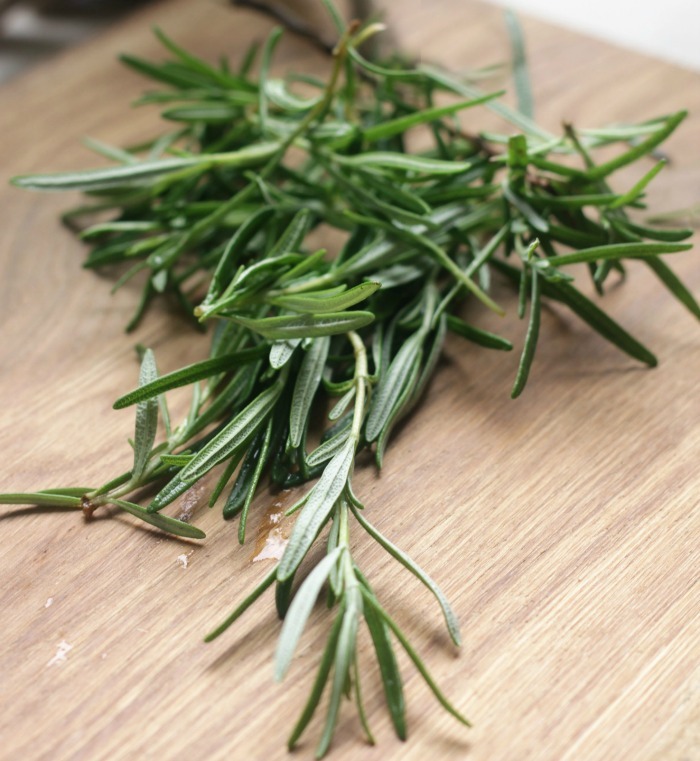 Knowing how to prune rosemary plants will make for a happy plant that gives you sprigs of lovely flavor for cooking. Thanks for this very informative article. It tells me just what I need to know about pruning my rosemary bushes. This is the best one I’ve found as far as clarity and detail. Hi Paul. I normally don’t prune plants that are small and quite new unless they start to get too leggy. Cutting the main stem will make it branch out but will also make for a more compact plant. I usually prune once the plant is close to the height I want to keep it that size. A great article! I have three rosemary plants that are outdoors now for going on 3 years. I live in Boise, Idaho and wonder how these plants have survived our winters here. After reading your pruning advice, I have decided to leave the plants as they are and simply ‘harvest’ when rosemary is called for in the kitchen. Again, many thanks for an informative review.